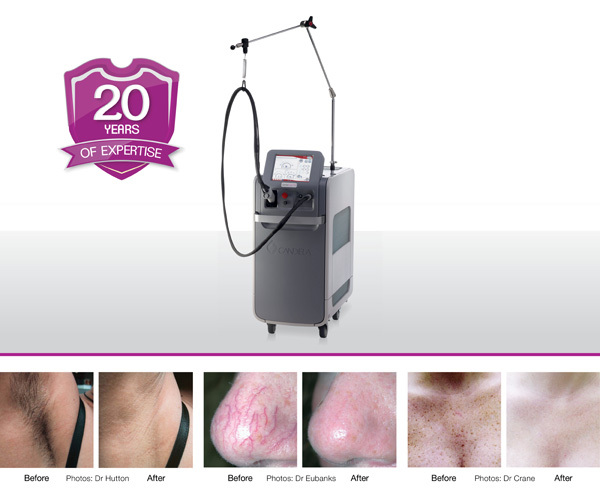 With 20 years of innovation and 20,000 systems installed, the Gentle Pro Series is the leading laser brand chosen by clinicians around the world to deliver proven, fast and effective hair removal and skin treatments. 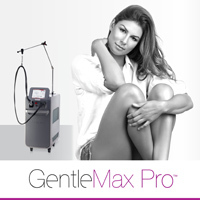 GentleMax Pro combines the wavelengths, power and advantages of the GentleLase Pro (755nm) and GentleYAG Pro (1064nm), to provide comprehensive and versatile treatment capabilities suitable for all skin types. Using light energy, GentleMax Pro penetrates the hair follicle, destroying it at its root while preserving the surrounding skin. 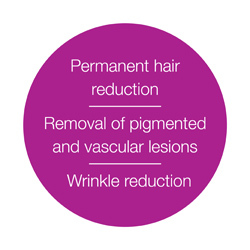 Treating more than unwanted hair, GentleMax Pro also treats vascular lesions, pigmented lesions, wrinkles and onychomycosis (nail fungus), allowing clinics to expand their treatment capabilities and attract new patients. GentleMax Pro offers premium patient comfort with its patented DCD cooling system, and delivers fast, long-lasting results with up to 80% permanent hair reduction after 3 treatments1. Our unique design optimises the key drivers of patient satisfaction – comfort, efficacy, safety and speed, so you can provide the best possible patient experience every time. With its power, speed and spot sizes as large as 24mm, GentleMax Pro delivers remarkably fast and efficient treatments, helping to treat more patients in less time. Based on 20 years of innovation, our design has continually evolved in technical superiority, efficacy and ease-of-use to deliver practice efficiencies and high productivity. All of these features will help drive revenue and grow your business.